All four expansions are yours, free for a limited time. We are less than one month away from the launch of Battlefield™ V. Can you imagine it? 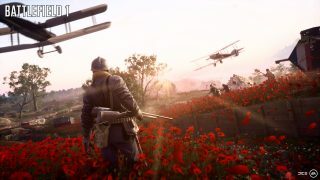 Sadly, it is also the closing stages on the Road to Battlefield V, our way of celebrating players with rewards like unique weapons skins just for playing Battlefield 1. 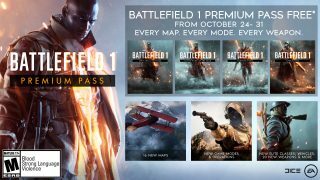 What better way to conclude with the giveaway of the Battlefield 1 Premium Pass, yours free* from October 24 until October 31. This means playing everything the Battlefield 1 Premium Pass has to offer: They Shall Not Pass, In the Name of the Tsar, Turning Tides, and Apocalypse. Read the details of each below – then hurry and claim them while there’s still time! The hardened French Army join the fight, and you can too! Don their emblematic blue uniforms, test a fresh set of weapons, and defend their homeland on a selection of French maps. For example, prepare your squad into the maze of dark galleries on the fan-favorite Fort de Vaux map for some close-quarter combat. If you’re in the mood for more open environments, try out Conquest on a map like Rupture, where you’ll fight with tanks, biplanes, and on foot across a sea of poppies. 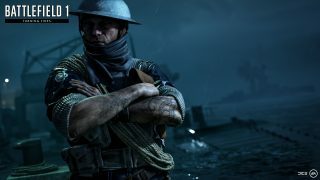 Check out everything you can get in Battlefield 1 They Shall Not Pass. You’ll need more than a good pair of winter boots to play In the Name of the Tsar expansion, which brings players to the popular Tsaritsyn and Albion maps — two different types of combat experiences of the freezing Eastern Front. Hold your own against the German infantry as they invade the Baltic peninsula in Albion. And choose sides in the Russian civil war as either the Red or White Army on the ruined Tsaritsyn streets. 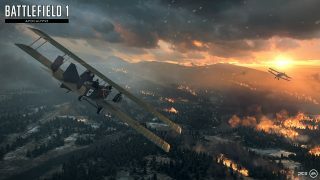 The Supply Drop game mode, 11 Russian-themed weapons, and the ability to play as the Russian Empire’s formidable Women’s Battalion of Death, are also part of this expansion. Get a complete breakdown on Battlefield 1 In the Name of the Tsar page. Fight in the 1915 British amphibious assault of the Gallipoli peninsula and reign bombs from the heavens as the Royal Marines on the C-Class Airship. The epic battles on land, sea, and air are all here. Wind through the maze of desert canyons of Achi Baba, choke point-heavy Zeebrugge, and two more maps. The expansion also delivered six weapons and two melee weapons to dominate the land battles, as well as the L-Class destroyer, M.A.S torpedo boats, and Heli blimps to dominate the seas. Jump over to read all that’s included in Battlefield 1 Turning Tides. This expansion brings five maps based on the Great War’s most brutal battles – a living hell of Apocalypse. The expansion also unveils a comforting addition of guns, gadgets, and aircraft for players to survive the bullet-filled inferno. This includes the Broken Bottle, Anti-Air Rocket Gun, and Howell Automatic rifle. The village of Passchendaele has been warped by weapons built to swiftly end the war, which leads to the infantry-focused Passchendaele map, packed with cover and trench networks, ruined houses, and abundant shell craters. The once thriving wheat fields of Somme have also been cooked to ash by a storm of steel. Expect open warfare on the River Somme map with clear trench line battles of man versus machine. And that’s only two of the five brutal maps. Join the cataclysm by learning all about Battlefield 1 Apocalypse. Your opportunities to play Battlefield 1 and get cool stuff is almost over. Don’t wait to log into Battlefield 1, and follow the menu of daily tasks that will go toward earning various rewards, like weapon and equipment skins, Dog Tags, and Squad XP Boosts. These weekly rewards are also your chance to get a head start on your Battlefield V gear, with ways to earn weapon skins for use in that game once it drops in less than month. The available rewards unlock weekly and can be earned during that particular time period. Go now! Check the Battlefield Calendar for more info. 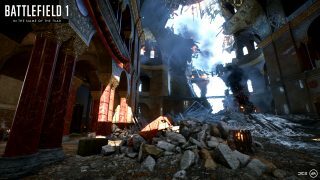 Every Tuesday rolls out a different collection of multiplayer maps featured inside Battlefield 1, that are grouped together based on a common theme. These end soon to, don’t miss the best of Battlefield 1! Visit the Battlefield V Calendar for this week’s curated playlist. Deploy with style – pre-order Battlefield V and get the Firestorm Ranger Set**.